UPDATED: Mark Your Calendars, Berkeley Vote June 20th! 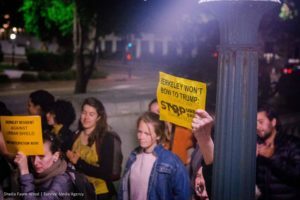 Special Berkeley Hearing on Urban Shield Scheduled! 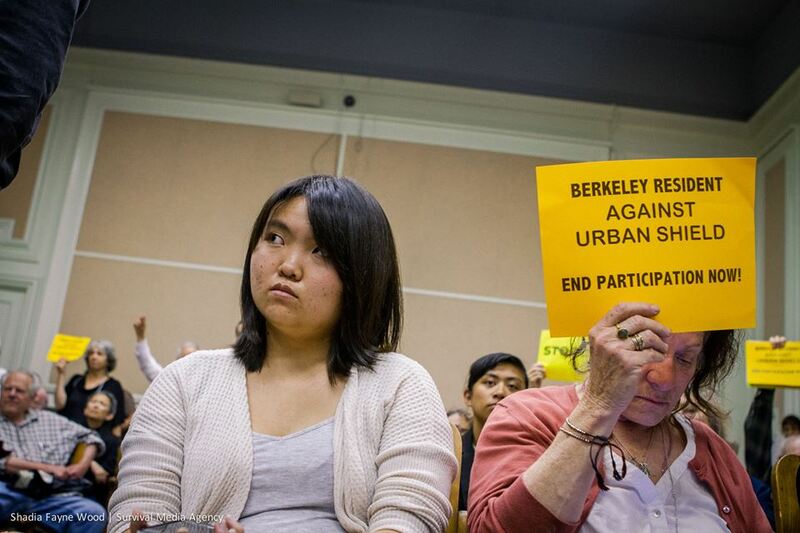 The Berkeley City Council will be voting on the city’s participation in Urban Shield. in anticipation of the Council’s vote on whether or not to continue Berkeley’s participation in Urban Shield. After waiting six hours for the agenda item to be heard and after giving powerful testimony, we were told that the Council once again decided to postpone the vote. The coalition and supporters staged a walkout to show the Council that we won’t stand for this kind of manipulation. PLEASE STAY TUNED. WE STILL NEED YOUR SUPPORT! 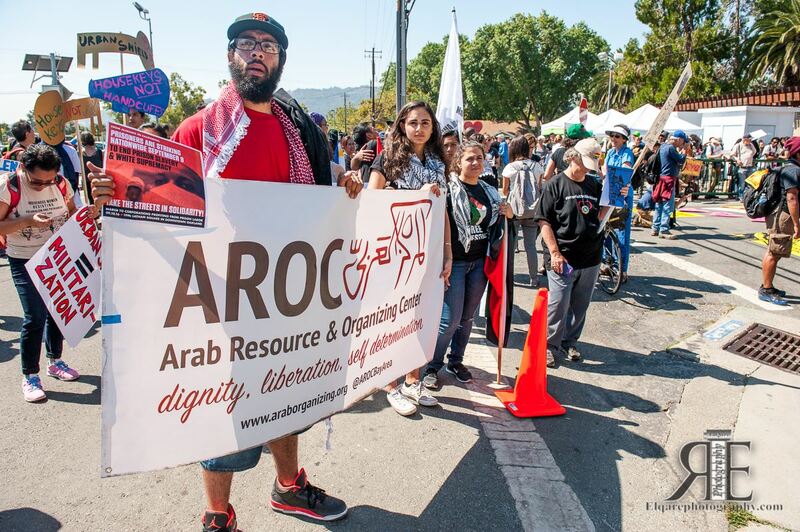 We want to redouble our efforts at the upcoming meeting in showing the Berkeley City Council that they need to stand on the side of the people and not on the side of militarization and oppression. In the meantime, please call and email the mayor and Council people to urge them to vote No To Urban Shield! Last night the Berkeley city council decided yet again to postpone a potentially historic vote to withdraw the city of Berkeley from participating in the Urban Shield war games and militarized SWAT training. 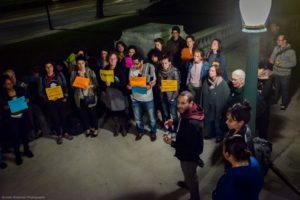 More than 200 community members and Berkeley residents came out to show their opposition to Urban Shield and to pressure the Council to listen to their constituents. Many people waited through a packed agenda for nearly 6 hours, some camped out in the downstairs lobby due to an already crowded upstairs chambers, in order to have their voices heard. 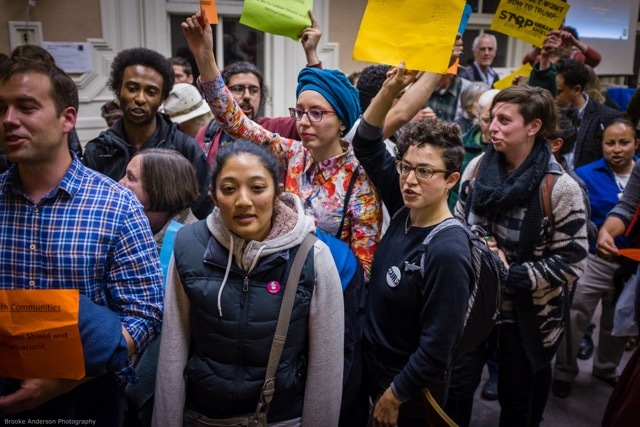 Despite the large and visible presence of people clearly organized around the Urban Shield agenda item, Mayor Jesse Arreguin intentionally chose to push the agenda item to the very end of the meeting. The Stop Urban Shield Coalition believes that this strategy was used deliberately to limit the number of voices present to speak out against Urban Shield; despite this at least 100 people remained to give testimony on the item which did not begin until around 11:30pm. Then, in a clear undermining of the democratic process, the Council decided at 12:30 am that they would adjourn and that they would not cast a vote concerning Urban Shield at this meeting. While the crowd erupted in boos of anger and disappointment we remained disciplined and organized and collectively decided to exercise our power to end the meeting on our own terms. We walked out before the conclusion of the meeting with chants of “Stop Urban Shield” echoing in the hallways. This move showed the City Council that the community will not tolerate this kind of manipulation. The council moved to set another meeting at a date and time to be determined where they assured those present that a vote would be held. The Stop Urban Shield Coalition will ensure that the meeting is held in a space that can accommodate the powerful showing of our community, and turn out in force again, larger and stronger to raise our demands. 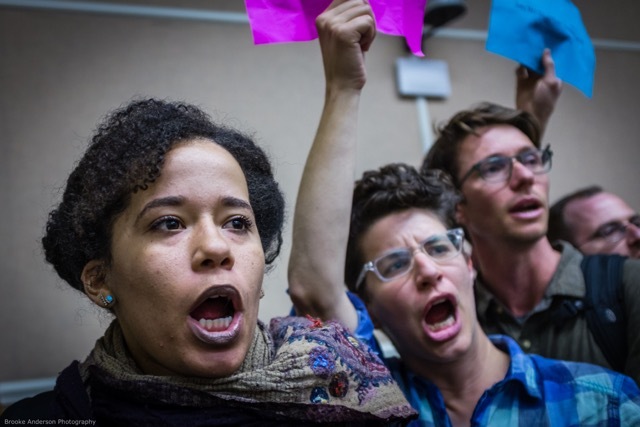 The decision to further postpone this vote, rather than taking the decisive action that Berkley needs, undermines the trust that the people of Berkeley have placed in their elected officials and calls into question the legitimacy of the Council as a decision-making body. Furthermore, the call to postpone the vote is a slap in the face to community members, working people, mothers and fathers, who gave hours of their time waiting for the item to be called as well as organizers who for the third time in as many months, met with council members, outreached to community leaders, and mobilized people to the meeting. Please stay tuned for more information on the promised vote and how to mobilize and/or support. Join the Stop Urban Shield Coalition for a town hall hosted by members of the Berkeley City Council as they prepare to discuss withdrawing from federal funding for militarized law enforcement training through Urban Areas Security Initiative and the annual Urban Shield training and weapons expo. 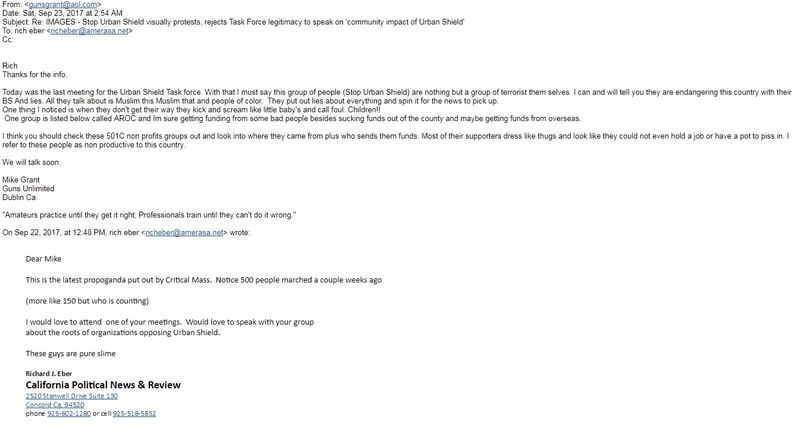 The Stop Urban Shield Coalition has been fighting Urban shield on every front. 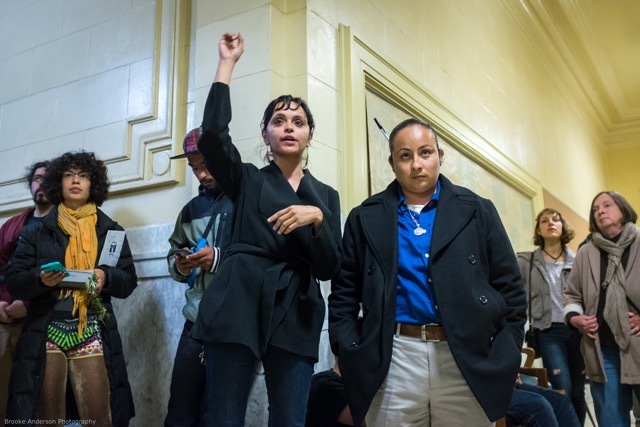 We’ve been at Berkeley City Council Meetings to convince representatives that Urban Shield hurts Berkeley residents, particularly in Black and Brown communities. Join us for a community town hall hosted by Council Members Cheryl Davila and Kate Harrison. All Out to Berkeley City Council Meeting to Say No to Urban Shield! In an unprecedented move, the Berkeley City Council is considering fully withdrawing their support for local agency participation in the Urban Areas Security Initiative and Urban Shield. This meeting is critical for the fight against Urban Shield. 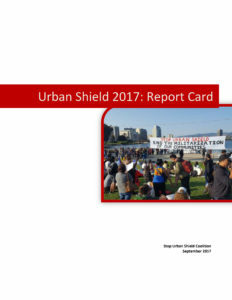 A decision in favor of pulling out of Urban Shield by the Berkeley City Council paves the way for other cities in the Bay Area to do the same. Look for more information in the coming days about calling Berkeley City Council members to urge them to support ending Urban Shield! The California Nurses Association (CNA), one of the largest labor organizations in the state, has joined the ranks of dozens of other organizations and hundreds of community members and health care professionals in taking stance against the militarization of police by opposing Urban Shield. In a recent letter to the Alameda County Board of Supervisors CNA points to the critical nature of emergency preparedness and how the militarization of such a response actually undermines community safety. “We strongly support the development, support, and expansion of true Emergency Preparedness programming in Alameda County. We are distressed to learn that our Board of Supervisors plans on allocating five of the $6 Million dollars granted by UASI Urban Shield, while not spending a single dollar on many of the emergency preparedness goals, such as Goal 1: Planning and Risk Management, Goal 5: Medical and Public Health, Goal 6: Emergency Planning and Community Preparedness, or Goal 7: Recovery. 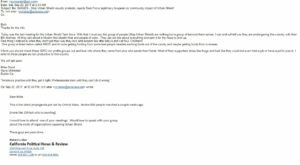 Community to Mobilize on 2/28 to the SF Board of Supervisors. No War on our Communities! On Tuesday, February 28th at 2pm the Stop Urban Shield Coalition will pack the San Francisco Board of Supervisors meeting as the City votes whether or not to apply for the 2017 Urban Area Securities Initiative funds from the Department of Homeland security, the funding that is used to finance Urban Shield. While the Supervisors have shown that they are concerned about the militarized police training and the harm and violence that Urban Shield brings into our communities and have introduced several amendments to the resolution, we still need to show them that ending Urban Shield altogether is strongest path forward. At the same meeting, community members will also be urging the Board of Supervisors to divest from banks that are financing the construction of the Dakota Access Pipeline. Indigenous Water Defenders and their allies have been defending the land of the Standing Rock Sioux in North Dakota for months and have repeatedly faced militarized police forces trying to repress their efforts. They have drafted an open letter to the Board of Supervisors and are asking for supporters to sign on. They have also asked attendees to wear blue as a show of support. Additionally the Supervisors will be voting on a resolution to prevent the use of City infrastructure to enforce a registry based on identity, national origin, religion or ethnicity. Such a resolution would prevent the City from complying with the Muslim registry that Trump has repeatedly promised to implement. The Stop Urban Shield Coalition recognizes that these issues are part and parcel of the same resistance. 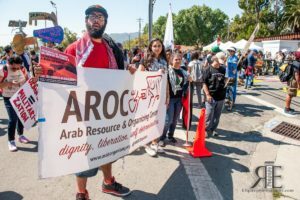 The violence of policing, racial profiling and militarization affects communities of color, immigrant and indigenous communities from Oakland to San Francisco to the Standing Rock reservation. Given the very real threats we face under the Trump administration we need to stronger than ever in the defense of our people and especially standing together in struggle across our communities. Turn out to 1 Dr Carlton B Goodlett Pl at 2pm to say No War on Communities of Color, Immigrant, Indigenous and Muslim Communities! All Out to the SF Board of Supervisors! Say No to Urban Shield! This Thursday, February 2, 2017, the San Francisco Board of Supervisors Budget and Finance Committee will discuss and vote on a resolution authorizing designated City and County officials to execute and file on behalf of the City and County of San Francisco any actions necessary for the purpose of obtaining State and Federal financial assistance under various grant programs, including the Federal Fiscal Year 2017 Urban Areas Security Initiative Grant. This currently includes Urban Shield. Demand that the Supervisors exclude Urban Shield from the resolution tomorrow! 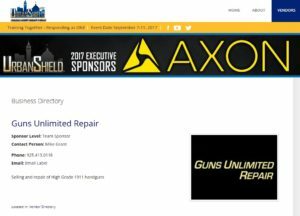 As the fiscal agent for Bay Area UASI funds, the SF Board of Supervisors has the power to exclude Urban Shield as a program funded by this money. Let’s turn out strong for this meeting! As we have seen with the ban on refugees from Syria and immigrants from predominantly Muslim countries issued by Trump on Friday, this administration and the Department of Homeland Security (which provides the funds for UASI and Urban Shield) will stop at nothing to bring harm to our communities. 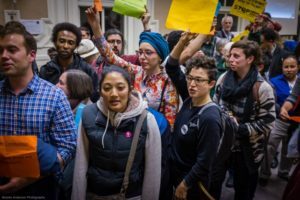 San Francisco has already demonstrated that it wants to push back against this executive order as well as the systematic dismantling of other protections for Muslim, Arab and immigrant communities such as Sanctuary City ordinances. Urban Shield is part and parcel of these recent actions and will contribute to the continued war on our communities and families here in the Bay Area and around the world. Join us to put an end to it. Turn out to the Budget and Finance Committee meeting: 2/2/2017, 10am, SF City Hall, 1 Dr Carlton B Goodlett Pl , San Francisco, CA 94102. Say NO to Urban Shield!